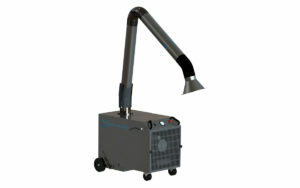 Capture welding fumes, grinding dust, plasma smoke and more. Rated from 800 to 4,000 CFM. 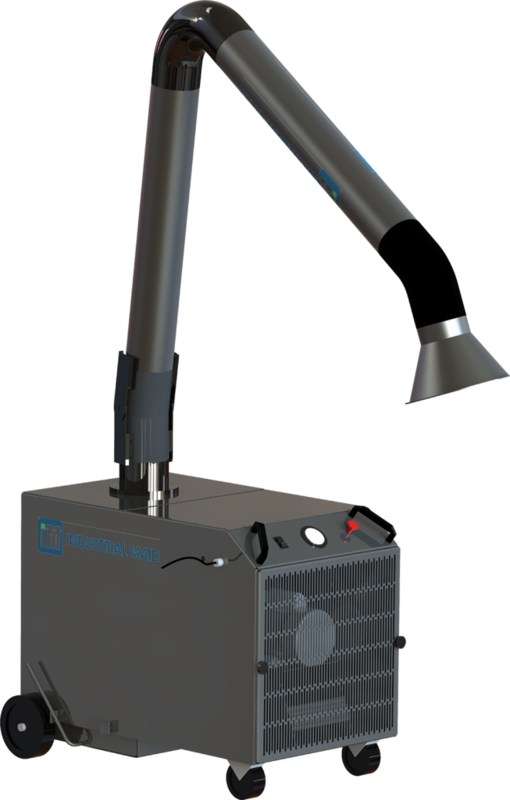 Portable fume collector and portable fume extractor systems are designed to manage and collect fumes from welding areas to not only keep your employees healthy, but ensure they are safe and comfortable. 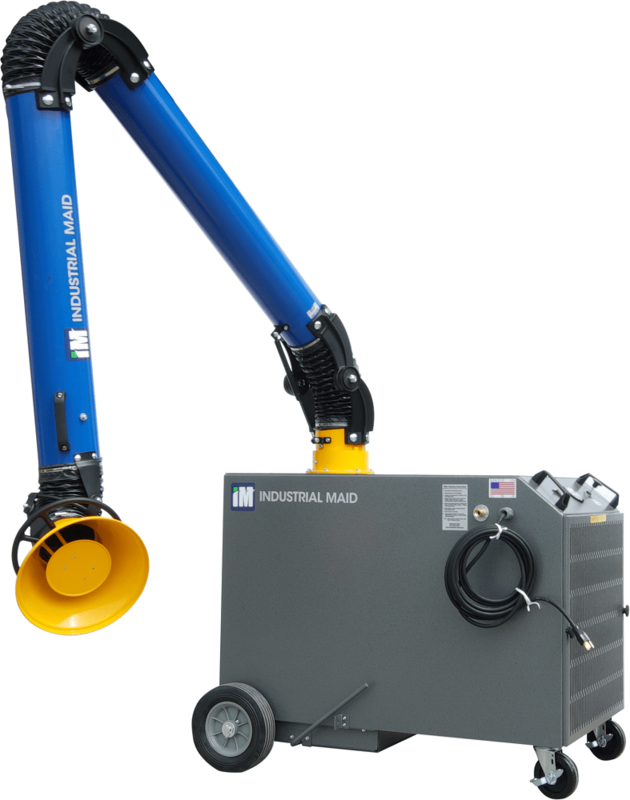 These units feature a flexible, spark resistant portable extraction arm that captures welding fumes and dust at a distance of 12-20″ from the source and within an area of 20″ diameter. Portable fume collectors are available in cartridge style or media style models. 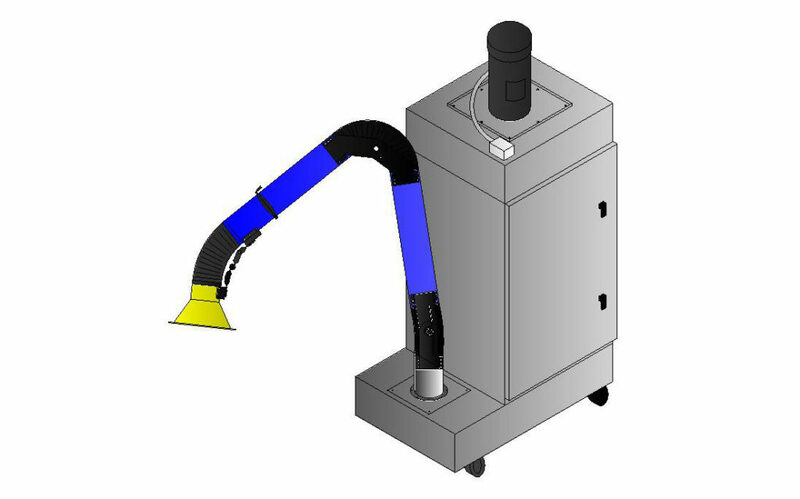 Additional model options include a 2” poly pad, 2” aluminum baffle, carbon filters, HEPA final filter, minihelic pressure gauge, magnahelic pressure gauge, and MERV 11 bag filters. 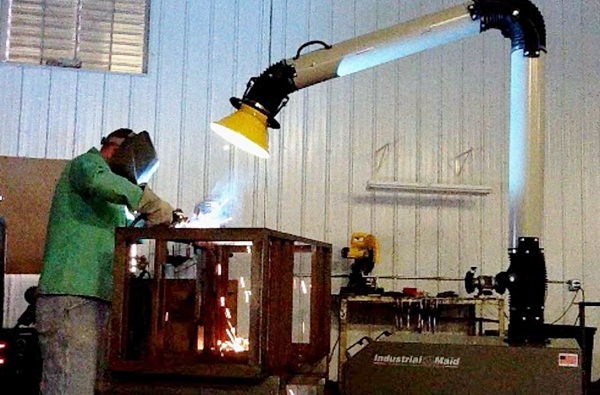 Some of the most popular applications for portable fume collectors include welding smoke and fumes, grinding dust, graphite machining, shops and maintenance, and mechanical and trade schools.